Over the past few years, Locust Grove has rolled out and slowly increased implementation of its Learner Profile on Blender, an online tool built through a partnership between the district, Henry County Schools, and SRG Technology, with the goal of creating an accurate picture of who each student is as a learner. 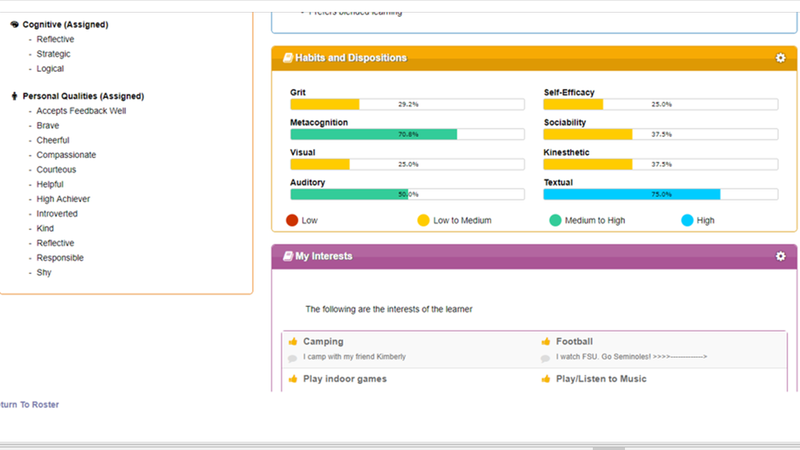 Through this platform, students complete surveys that assess their dispositions, interests, and learning preferences. Assessment data also get included, giving students access to their academic progress. Additionally, students can upload evidence of learning and tag it to the school’s competency framework to demonstrate mastery. Learner Profiles create a portrait of each learner, building student self awareness and allowing teachers and families to holistically understand learners. 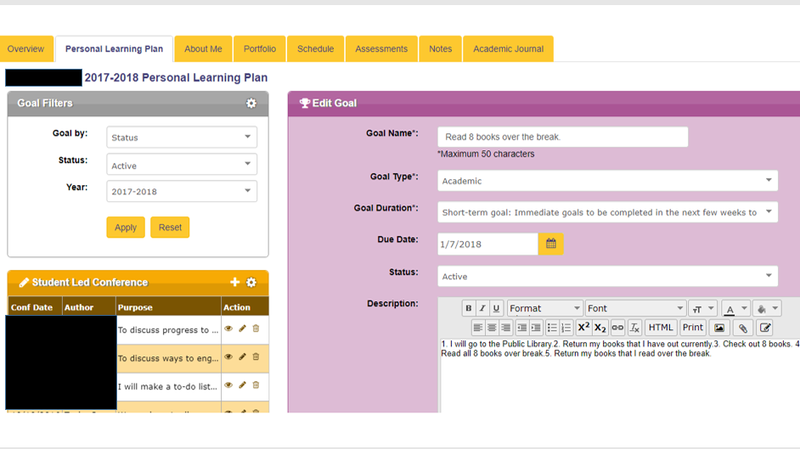 Students also set personal and academic goals within their Learner Profiles, creating and tracking action items towards achieving their various goals. Throughout the student’s advisory period and 1:1 conferencing, teachers are able to understand student interests and goals, supporting students in their learning and progress towards those goals. Completes surveys on habits of success and dispositions within Blender. 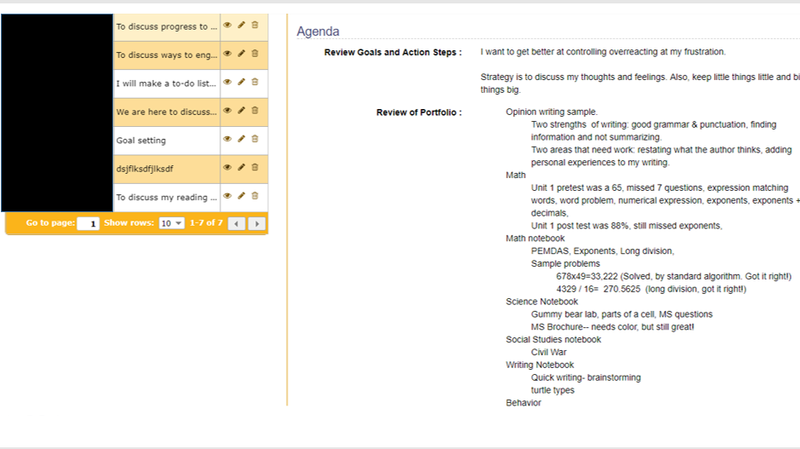 Sets and tracks progress towards academic and personal goals. Monitors academic data from assessments. 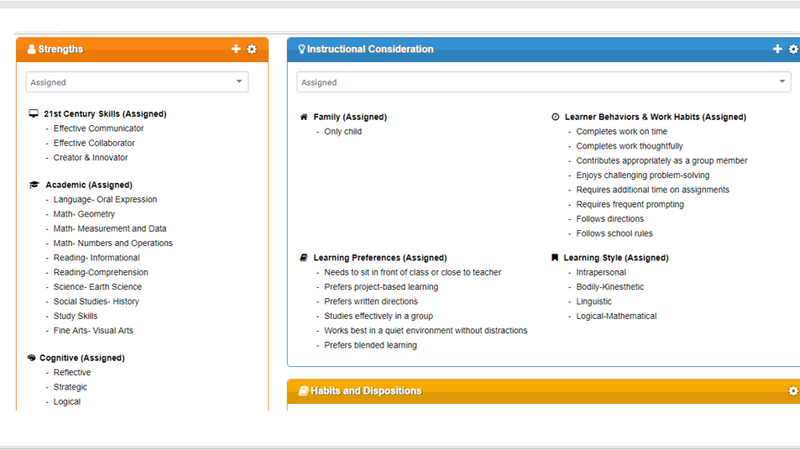 Reviews Learner Profiles to holistically understand students and their learning preferences. Supports students in setting and progressing towards goals. Stores and displays academic and personal data for students, teachers, and families.